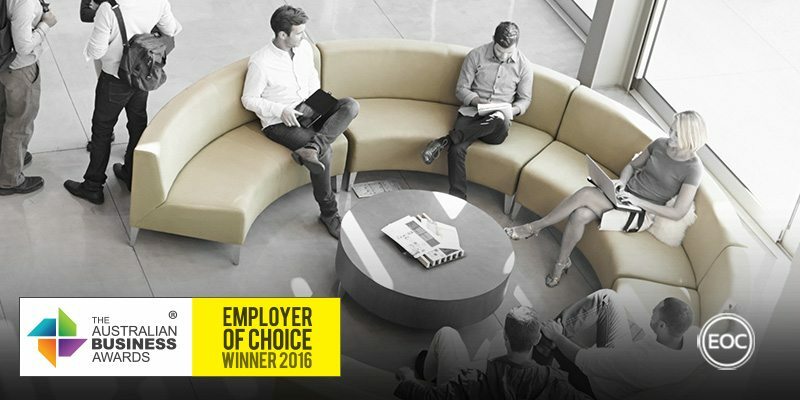 Resolution Media has been recognised as an Employer of Choice in The Australian Business Awards 2016. Resolution Media is an internationally operating digital agency focusing on the design, implementation and measurement of digital strategies related to search. The Australian arm of Resolution employ more than 95 people over six offices within a workplace culture predicated on high energy, high efficiency and positive peer pressure. Resolution believe that healthy and happy employees bring their “A game” to work and that this wellbeing is founded upon autonomy, development and connection. As a result, they’ve invested in fostering a workplace environment that provides employees the freedom to take risks, learn from peers and collaborate in tight-knit teams. As a specialised company, Resolution recognise the importance of internal and external training for employees and have invested in a full annual training calendar. A key component of this training is that it’s designed to go beyond technical skills, providing employees with career progression pathways that include leadership and management training. New managers, for example, undergo a five module training program to prepare them for effective leadership. These programs are tied closely to recognition initiatives, which aim to reward success through peer-to-peer award nominations, personalised managerial gift vouchers and team-wide excursions. As part of their focus on employee wellbeing, Resolution have designed an approach to work-life balance that’s designed to be a holistic health and wellness solution. This is achieved through a work-life hub, which is an online platform that connects employees with support services and trusted service providers such as babysitters, cleaners and gardeners. Regular employee engagement is conducted to ensure satisfaction with Resolution’s approach, with changes made based on feedback.